I want to thank Teresa of One Good Thing and Kirk of Dumb Sketch Daily, who are leading the charge for Selfie day, in which participants all agreed to draw a self-portrait. What a cool and fun challenge, and I really enjoy portraits, so I was looking forward to it! I’m not sure if abstract portraits are allowed, but if my work schedule today permits, I will try and conjure up a quick abstract self-portrait later today. Looking forward to it! Peace and Happy Fall Friday to all! So cute! You caught the bright eyes. That was Kerfe…forgot the K.
So adorable! I can’t even imagine how hard it would be to do a self portrait. Thanks! I was wondering if you’d be giving it a try for the challenge. I really like the soft lines it matches the youth of a baby. Great job! Thanks, Catherine! By the way, I loved your bird yesterday, but wasn’t able to like it or leave a comment – just to let you know. My memory is horrible, so please remind me to include it in the next recap! Good job with the baby portrait. My kids hate when I attempt to draw them. And I also think Kerfe nailed the self-portrait problem. On the other hand, you are always available for you to draw! This is great!!! Wow. I didnt know you had such a little one. I dont know how you find the time to do art!! Oh i misread your post. That makes a lot more sense. My two are early teens. You have certainly capture your adorable daughter’s happy spirit. Beautifully drawn. Awww! She looks like the Gerber Baby! Love it, Sharon, and I’m glad you made so many attempts; practice makes perfect! Thanks, Teresa! Actually, this was a first try in a very very small sketchbook. But that was back in February, when I was doing portraits on a regular basis. I’m a bit rusty now, so my attempts at drawing recent photos of my daughter bombed horribly! I’m glad you enjoyed this. Looking forward to seeing the other portraits. Wonderful portrait :-). Like Kerfe said, you caught the bright eyes! Your daughter’s whole face expresses joy. You’ve done such lovely work with other people’s portraits… yours is probably just a few attempts away. I looked at my face in the mirror a few times yesterday and tried to imagine drawing it. Seemed like climbing Everest. Maybe I’ll, um, see about getting to base camp today. Lol, I hear ya, Myriam! Thanks for your kind words re my daughter’s portrait. Portraits are difficult! I’ve tried to draw myself several times and never quite happy with the results.. And my kids are often my models and they aren’t happy about them either! Love the baby portrait! Very nice. Keep going. Don’t give up on drawing yourself in a mirror. I have a large mirror in front of my art table. Although can be scary first thing in the morning. Thanks, Carmel! Very scary, for sure. Yours always look great! Awesome Laura – wonderful portrait sketch of your daughter! Thank you, Mary! It seems one never knows with a portrait….will it turn out? Always a nail biter. Thanks, Jill. She did enjoy it – I posted it for her birthday earlier this year. I was glad she was pleased with it. 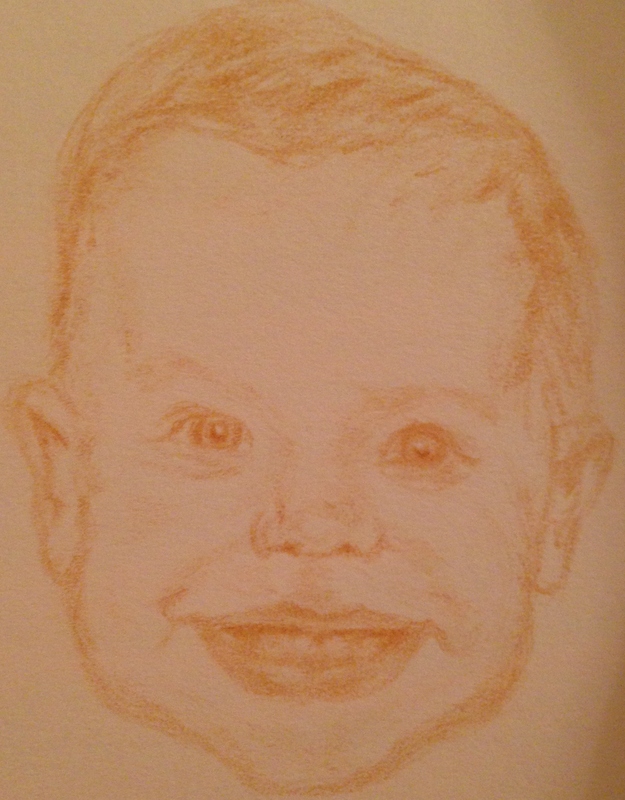 Babies are harder to draw than adults, I think! I may try that abstract yet. Thanks, Michael…..maybe tomorrow. 🙂 It’s been a long day at the office! I do agree that babies are harder for sure. Beautiful portrait and such a cute subject! You really captured the joy and the love. Thank you for sharing. Thank you for your comment, Huanani (and I hope I spelled your name correctly)! I appreciate it. I remember this one. Still just as cute the second time around. 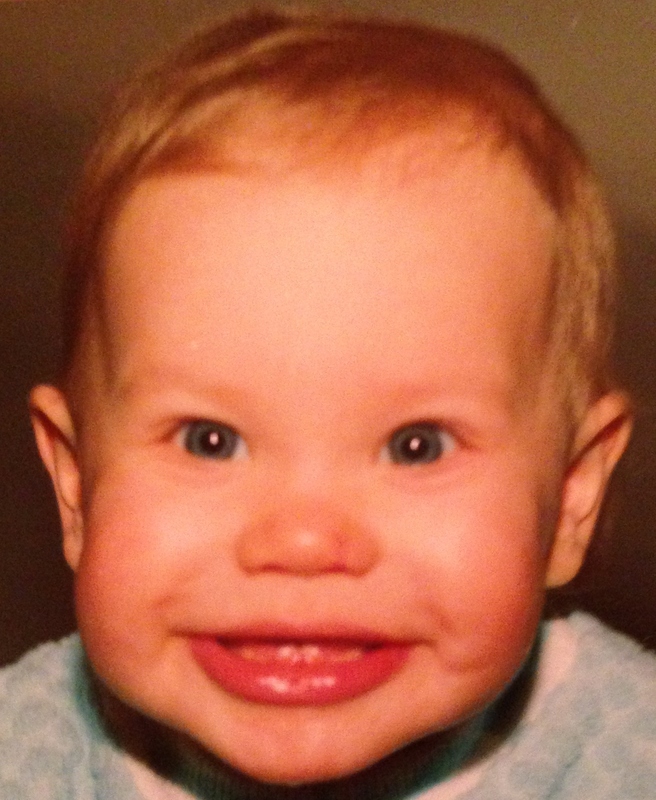 Maybe you can dig up an old baby photo of yourself. That would make for an entertaining self-portrait. I always just post mine anyway though, even when I think they’re terrible. I’ve had a couple self-portraits like that. I just posted them anyway though. I’m shameless. This is adorable!!! I missed the selfie challenge unfortunately… Hope you will try to selfie yourself again! 😉 Maybe next time?